2. 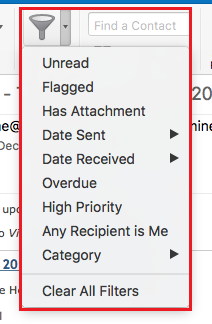 Click the Filter Email icon on the Home Toolbar. 2. Use the Search Bar that is located above the toolbar to enter text. 3. Type in the Word, Name, or Email Address you wish to search for. 4. Your emails should now be sorted by the search term.